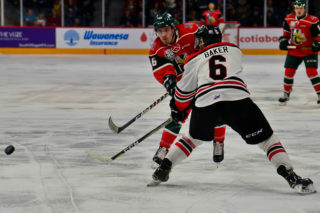 This was not the start to the playoffs that the Halifax Mooseheads were looking for as they played from behind all night in a 3-2 Game 1 loss to the visiting Quebec Remparts. Halifax struggled to find their groove offensively in the opening period as the Remparts held them to just five shots while Matthew Grouchy scored on a power play to give Quebec the early lead. Grouchy sent a high shot far side over the blocker of Alex Gravel just 28 seconds into an Ostap Safin tripping penalty to quiet a crowd of 7,650 at Scotiabank Centre. 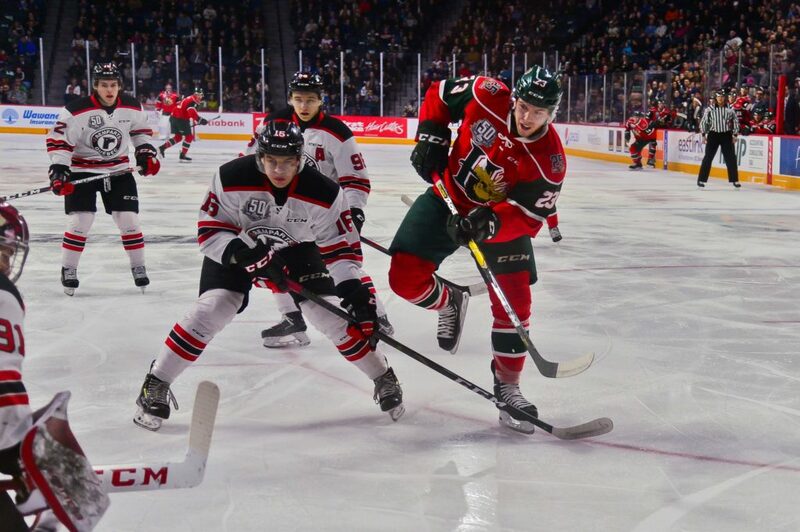 The power play was one of five opportunities on the man advantage for the Remparts in the game which included a five minute major to Samuel Asselin for checking from behind in the second period and resulted in the Mooseheads top goal scorer receiving a game misconduct. Quebec also scored on that power play when Luke Kutkevicious beat Gravel at 7:25 of the middle stanza to make it a 2-0 game. Head Coach Eric Veilleux said the adversity of losing Asselin is not an excuse for the Mooseheads. All major penalties are subject to automatic review by the QMJHL head office but there were no indications of a suspension for Asselin at press time. 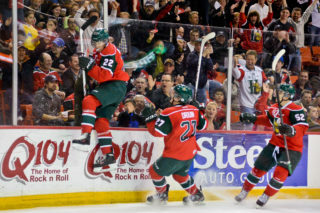 The Mooseheads got on the board during the Asselin major as Justin Barron showed off his explosive skating abilities yet again as he flew down the right side before putting in a short side shot on goalie Carmine-Anthony Pagliarulo to cut the lead to 2-1 at 9:22 of the second period. Fans were animated throughout the contest in response to the penalties against Halifax, including two embellishment calls against Joel Bishop and Xavier Parent when it appeared as though they were the victims and that the Moose would get some much needed power play time. The Mooseheads coach was surprised to see his two players head to the penalty box on those occasions. With the crowd desperately hoping for a tying goal in the third period, Pierrick Dube put a dagger in their hearts as he forced a turnover off the stick of Antoine Morand and sped in on a breakaway and tucked in a backhand shot to open up a 3-1 lead. Dube’s goal wound up being the game-winner in a battle that only saw a combined 43 shots between the teams. Jared McIsaac gave Halifax hope 1:59 after the Dube goal as he put a high shot from the point straight in behind a screened Pagliarulo as the Herd pulled to within 3-2. The goal came on one of just two Mooseheads power plays and that was as close as they would get. Raphael Lavoie had a great chance in the slot in the dying minutes off a great pass from Jocktan Chainey but the shot was deflected high and over the net. 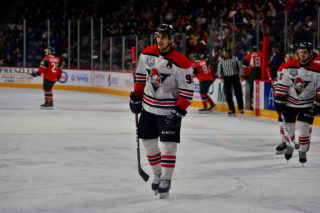 Alex Gravel was pulled in favour of the extra attacker with 1:30 remaining in regulation but the Remparts were able to consistently clear the puck out of harm’s way. As for what he would like to see change in Game 2 from his players, Veilleux wants more creativity in the offensive zone. 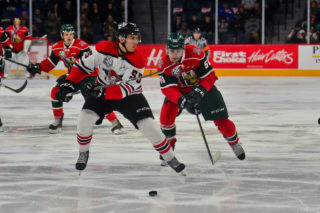 For a team that has had more than their fair share of bad news on the injury front, the Mooseheads were dealt another big blow when it was announced just before puck drop that Benoit-Olivier Groulx is out of the lineup indefinitely with mononucleosis. Halifax was fortunate to have Lavoie and Morand back in the lineup as both had been nursing upper body injuries. Maxim Trepanier missed another game as he recovers from an upper body injury and Cole Stewart is out for the season after undergoing surgery. Marcel Barinka and Alexis Sansfacon were healthy scratches. 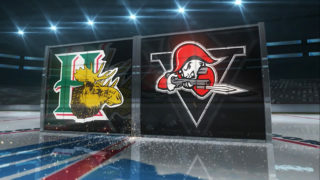 The Mooseheads will look to even the series when they play Game 2 Saturday night at 7pm at Scotiabank Centre. 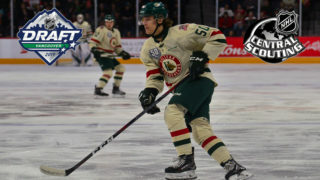 Tickets are on sale at the Ticket Atlantic Box Office, select Superstore Outlets, TicketAtlantic.com, the Official Mooseheads Shop in Scotia Square or charge by phone 902-451-1221.